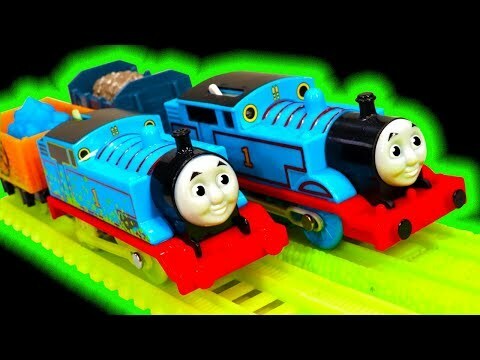 Thomas & Friends glow in the dark Trackmaster trains are fun. I review the TrackMaster 2 Glowing Mine Set that features a glow in the dark Thomas The Tank, rolling stock and track parts. This 2017 playset is fun and very different to look at. 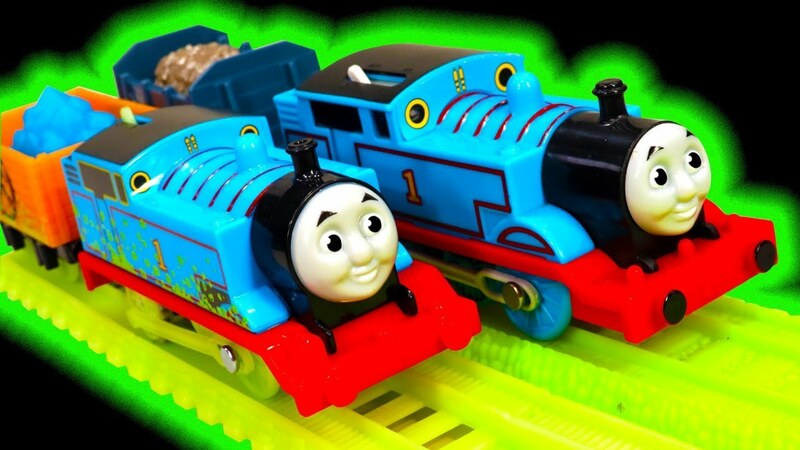 But back in 2010 there was another TrackMaster train set that also featured glow in the dark track. That set is the classic TrackMaster Thomas Midnight Ride which is a very different glow in the dark experience. Back then the glow in the dark track feature was far more awesome. The play features were also vastly different to TrackMaster 2. The other major differences is the Thomas The Tank trains, but does a dressed up glowing Thomas win the hearts of children. From what I can see my custom glow in the dark Diesel is a much better glowing effect Vs the Thomas in the Glowing Mine playset. Anyway I feel the comparison between these 2 toys reveals how much has changed in only a few years. Glowing effect is achieved by phosphorescent chemicals. Everyday examples of phosphorescent materials are the glow-in-the-dark toys, stickers, paint, and clock dials that glow after being charged with a bright light such as in any normal reading or room light. Typically, the glow slowly fades out, sometimes within a few minutes. I just hope that those who comment on this video answer the really important question related to buying these toys. If they can't answer that. well their comments are pure spam.